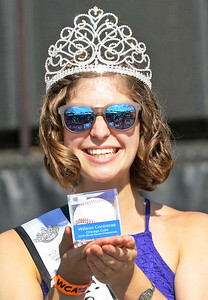 Candace H. Johnson-For Shaw Media Newly-crowned Miss Lindenhurst 2017 Alissa Costa, 16, holds up a baseball signed by Chicago Cubs catcher Willson Contreras for the Mayor's Auction during Lindenfest at the Village Hall Center in Lindenhurst. 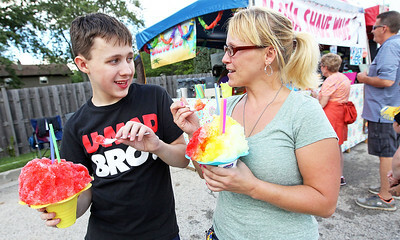 Candace H. Johnson-For Shaw Media Andrew Galas, 16, of Round Lake Beach and his mother, Cheri Miller, enjoy eating some Aloha Shave Wave ice, during Lindenfest at the Village Hall Center in Lindenhurst. 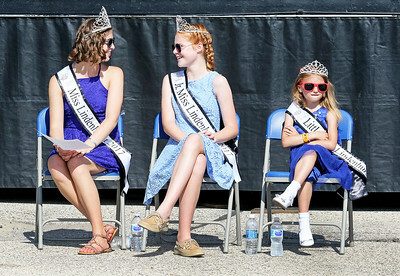 Candace H. Johnson-For Shaw Media Allisa Costa, 16, Kelly Eppel, 12, and Savannah Romig, 6, newly-crowned Lindenhurst queens 2017 take a seat in-between helping show items up for bid in the Mayors Auction during Lindenfest at the Village Hall Center in Lindenhurst. 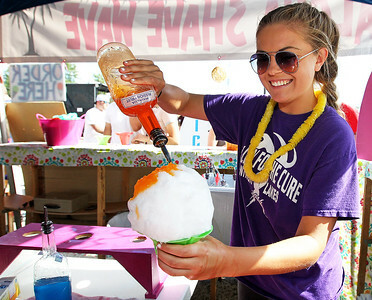 Candace H. Johnson-For Shaw Media Skylar Loos, 17, of Antioch puts Hawaiian flavoring on some Aloha Shave Wave ice for a customer during Lindenfest at the Village Hall Center in Lindenhurst. Skylar owns the Aloha Shave Wave ice business with her sister, Nayla, 15. 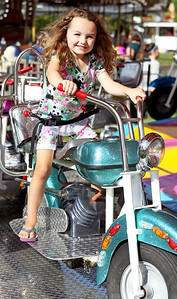 Candace H. Johnson-For Shaw Media Evelyn Czerwinski, 4, of Huntley goes around on a motorcycle in the Motorcycle Jump ride during Lindenfest at the Village Hall Center in Lindenhurst. 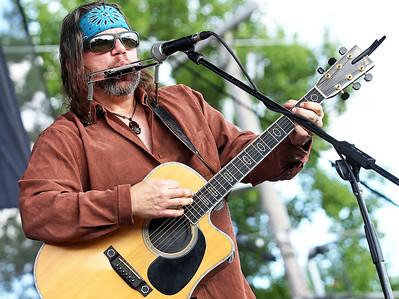 Candace H. Johnson-For Shaw Media The singer, Magoo, of Chicago plays the harmonica and sings the Neil Young song, "Helpless," during Lindenfest at the Village Hall Center in Lindenhurst. 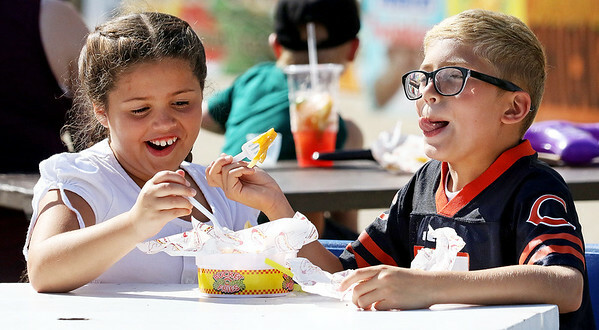 Candace H. Johnson-For Shaw Media Bella DeAngelo sits with her cousin, Hayden Wolf, both 8, of Lake Villa while they eat hamburgers and french fries during Lindenfest at the Village Hall Center in Lindenhurst. 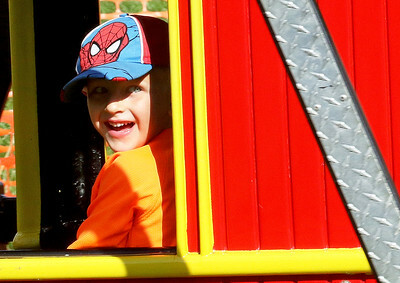 Candace H. Johnson-For Shaw Media Jacob Bobis, 4, of Lindenhurst rides the Windy City Express Rio Grande train during Lindenfest at the Village Hall Center in Lindenhurst. 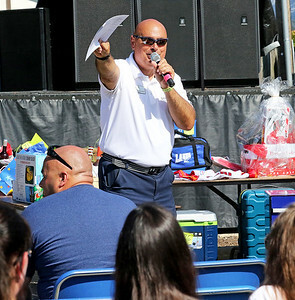 Candace H. Johnson-For Shaw Media Dominic Marturano, mayor of Lindenhurst, points to a bidder during the Mayor's Auction during Lindenfest at the Village Hall Center in Lindenhurst. 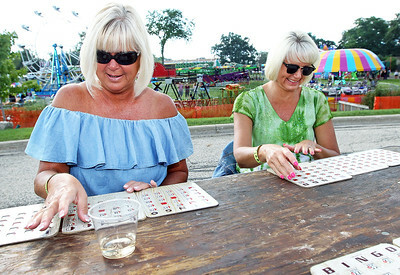 Candace H. Johnson-For Shaw Media Susie Derrick and her sister, Sally Battaglia, both of Lindenhurst play Bingo during Lindenfest at the Village Hall Center in Lindenhurst. 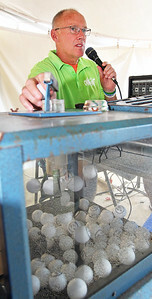 Candace H. Johnson-For Shaw Media David Yarnall, of Lindenhurst calls the numbers for Adult Bingo during Lindenfest at the Village Hall Center in Lindenhurst. Andrew Galas, 16, of Round Lake Beach and his mother, Cheri Miller, enjoy eating some Aloha Shave Wave ice, during Lindenfest at the Village Hall Center in Lindenhurst.